You'll discover tucked-away gems like Wentworth Falls and Palm Beach. Relax by the water at Manly Beach and Shelly Beach. Change things up with these side-trips from Sydney: Terrigal Beach (in Terrigal), Australian Reptile Park (in Gosford) and Katoomba (The Three Sisters, The Giant Stairway, & more). Next up on the itinerary: stroll through Bondi Beach, wander the streets of The Rocks, examine the collection at Australian National Maritime Museum, and get some thrills on the water with a speed boat tour. For where to stay, photos, other places to visit, and tourist information, use the Sydney trip itinerary tool . Use the Route module to see travel options from your home to Sydney. 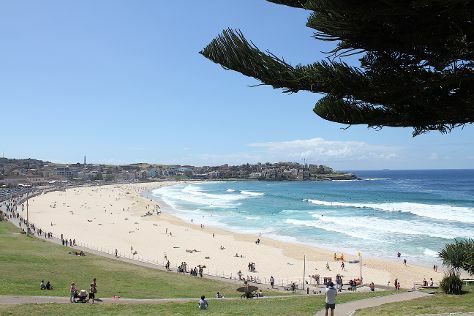 In April in Sydney, expect temperatures between 26°C during the day and 17°C at night. Finish up your sightseeing early on the 25th (Thu) so you can travel to Gold Coast. Kick off your visit on the 26th (Fri): observe the fascinating underwater world at Sea World Theme Park. 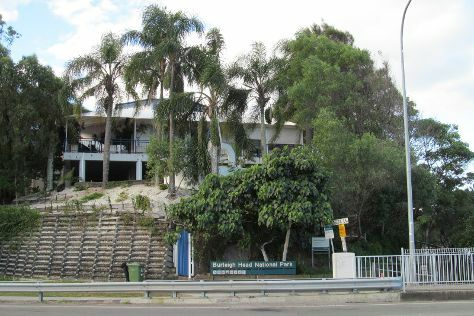 On the 27th (Sat), you'll have a packed day of sightseeing: enjoy the sand and surf at Kurrawa Beach, then explore the wealth of natural beauty at Burleigh Head National Park, and then enjoy the sand and surf at Kirra Beach. For more things to do, ratings, other places to visit, and more tourist information, go to the Gold Coast trip planning website . Traveling by flight from Sydney to Gold Coast takes 3.5 hours. Alternatively, you can do a combination of flight and train; or drive. In April in Gold Coast, expect temperatures between 30°C during the day and 19°C at night. Wrap up your sightseeing by early afternoon on the 28th (Sun) to allow time for travel back home.